Plus! Appliances for the rest of the home. It doesn't matter whether or not your kitchen space is vast or teeny tiny, it's all about how you make it work for you. Turning your kitchen into a smart one means you find the right layout and right appliances for you to make it more efficient and easy to use. An added bonus: Having a smart kitchen will save you a ton of money and a whole lot of time, too! Most kitchens will usually have what they call the "kitchen work triangle". The ideal triangle is that the refrigerator and stove are across each other, while the sink should be diagonally across the two, completing the triangle. Some kitchens are built with specific spaces for certain things, like how some condominium units have spaces carved out for a refrigerator. You don't have to strictly follow these kitchen layouts. If a workstation fits where a fridge should be, then use that space to chop and peel. The layout of your kitchen should complement your cooking style. Just like a recipe, your kitchen workflow has to be tested and tweaked until it's working like clockwork. The ideal workflow is that you have all your ingredients out and ready from the fridge before you start cooking, and they're all within arm's reach or beside your prep area or stove. Clean-up will be easier too if you toss the dirty cookware into the kitchen sink as soon as you're done with them. It's so frustrating for food to go to waste when it's inside the fridge—either it gets too frozen, gets soggy rather than staying crisp, or the odors or flavors of the food mix with each other. 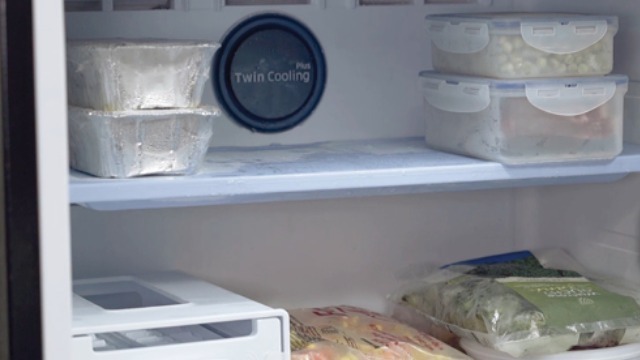 Be smart about it by getting a fridge that does the work for you, like the Samsung Twin Cooling Refrigerator. The fridge keeps your food fresh for up to two times longer, saving you time, money and energy from heading to the supermarket all the time. The Twin Cooling technology is also great if you're going on an out-of-town trip or if you won't be home for a while. You can use the Smart Conversion to switch between 5 different modes. You can use only the fridge compartment, use only the freezer compartment, convert your freezer into an extended fridge compartment or convert your freezer into a mini fridge. This allows you to maximize your refrigerator space depending on your family's needs. Nowadays, smart appliances are so efficient that all you need to do is prep the food, pop it in, and the dish comes out perfectly—no watchful eyes or slaving away over the stove required. Whatever it is you want to cook for your family, the Samsung Smart Oven can do it for you—fry, grill, steam, or you can even make bread or yogurt out of just one compact oven. You can even throw in raw or frozen meat, and it will come out mouthwatering and delicious. The Samsung Smart Oven also has combination modes that allow it to switch from a microwave straight to a griller – no need to switch. No more switching from one kitchen appliance to another. Now you can make incredibly healthy meals in a short amount of time. Spread the smarts all over your home! Why should your kitchen be the only space in your house to get the perks of smart appliances? 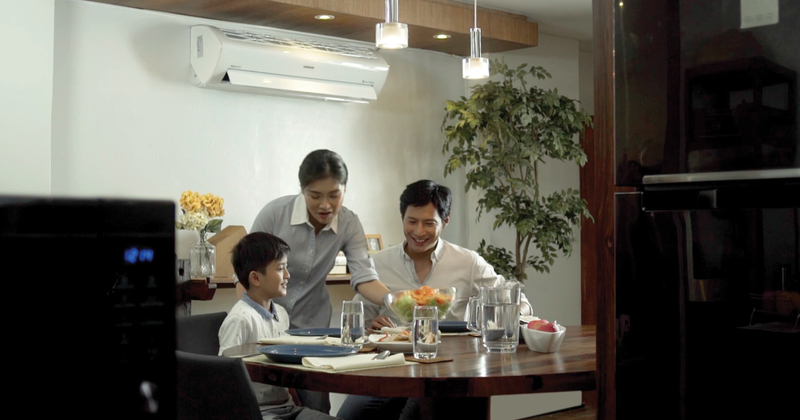 Spread the smartness around by installing a Samsung Split-type Inverter Air Conditioner. 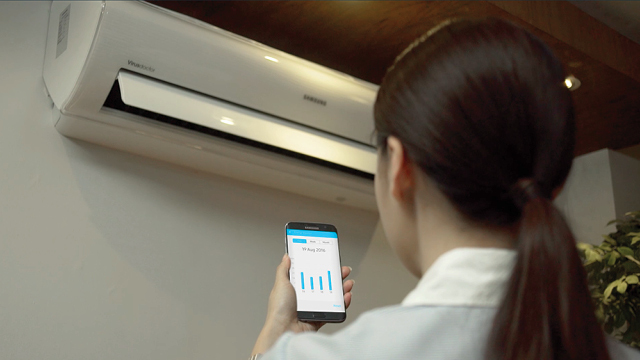 You can control its temperature via Wi-Fi and even monitor your energy consumption through your smartphone. You can also turn doing laundry into a more enjoyable task with the Samsung AddWash Washing Machine, which lets you add other clothes and laundry aids during the wash cycle. Plus, you can leave it be while the load is happening because you can control the washing machine through your smartphone, anywhere you are in your home. Check out the video below for 5 simple ways to build a smarter kitchen. You can also visit http://www.samsung.com/ph/consumer/home-appliances/ for more smart appliances you can add to your home. This article was created by Summit StoryLabs in partnership with Samsung Appliances.